Through the IEEE Rebooting Computing Podcasts, we provide listeners with access to some of the top computing industry professionals -- from innovators to professors (and the combination of both). Our coverage includes discussions on quantum computing, neuromorphic computing, relevant events, industry trends, and so much more. We provide you with access to the industry's best of the best. We had the opportunity to speak with Bruce Kraemer, Past President of IEEE-SA and Chair of the IEEE Industry Summit on the Future of Computing, at Rebooting Computing Week in November 2018. 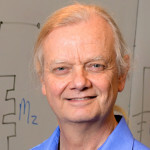 He discussed the next 20 years when it comes to computing, why he believes additions to digital CMOS are promising, how Quantum Computing and Analog Neuromorphic could come into play and how optical and photo optical computing will tie in as well. 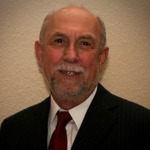 As a member of the IEEE for more than 30 years, Bruce Kraemer has a wealth of knowledge in multiple industries including semiconductors, developing standards and more. Mobile robots, low-power electronics and brain inspired algorithms. How do these fields tie into the computing industry? 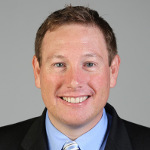 Scott Koziol, Assistant Professor of Electrical and Computer Engineering at Baylor University, dives into just that in this podcast episode. We sat down with Scott at Rebooting Computing Week in November 2018 to discuss what he believes the future of computing holds when it comes to mobile computing platforms and robotics, why low-power, high-performance computing is essential, and where quantum computing will come into play. He also shared his excitement about working with IEEE Rebooting Computing to continue the advancement of quantum computing. 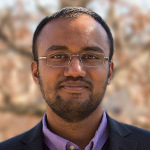 When it comes to artificial intelligence and the role computing plays in this ever-growing field, Natesh Ganesh, PhD Student in the Electrical and Computer Engineering Department at University of Massachusetts Amherst, has a slightly different approach. We sat down with Natesh at the IEEE International Conference on Rebooting Computing in November 2018 for an even deeper dive into his presentation. He discussed his views on the future of artificial intelligence and how building these systems might not actually involve computing in the classical sense, but instead take on a whole new framework. 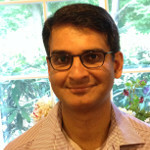 What are those frameworks and what are Natesh’s goals in his work? Listen to his podcast to find out. 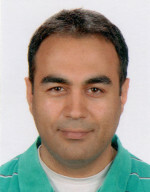 In this podcast episode, Mustafa Badaroglu, Technical Director at Huawei Technologies and member of the International Roadmap for Devices and Systems More Moore team, gives an inside look into the More Moore IRDS™ report (PDF, 1 MB), how computer architecture and scaling, along with energy efficiency, are important and necessary elements when it comes to the future of computing. He also discusses how the new consumer environment brings in a whole new set of computing applications. Not only does Mustafa cover the future of computing, he also shares his views on augmented reality, virtual reality, machine learning, 5G, semiconductors, big data, 3D integration and much more. 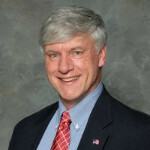 According to Kirk Bresniker, Chief Architect and HP Fellow at Hewlett Packard Labs and Overseer of advanced development programs at Hewlett Packard Enterprise, it’s not enough to just develop new computing technologies, we also have to find a way to make them sustainable, equitable, and globally available. We caught up with Kirk after his presentation at Rebooting Computing Week 2017 to hear more about his views on the future of computing, how he believes data should be at the center of our thinking when it comes to next era of computing, and what his thoughts are on Quantum Computing and other technologies. To hear from other industry leaders on what the future of computing holds, register for Rebooting Computing Week 2018 coming to Tysons, VA 5-9 November. 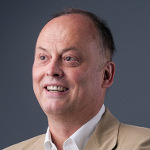 As a professor of physics at Heidelberg University in Germany and expert in neuromorphic computing, Karlheinz Meier is truly at the forefront of new and emerging technologies. We caught up with Karlheinz after his keynote at the 2017 IEEE International Conference on Rebooting Computing to dive even deeper into his views on neuromorphic computing, the three aspects of the brain he believes are most important, and why those aspects should be used in future computing technologies to make them successful. He also shared why it’s important to model future machine learning and artificial intelligence technologies after the human brain. To hear from other industry leaders on what the future of computing holds, register for Rebooting Computing Week 2018 coming to Tysons, VA 5-9 November. 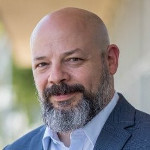 We sat down with Dillon Graham of the Critical Skills Master’s Program: R&D Computer Science at Sandia National Laboratories, at Rebooting Computing Week in 2017 to discuss his views on the future of computing, what new technologies he thinks will usher us into a new era beyond Moore’s Law, and what he learned while at Rebooting Computing Week. Dillon shared how he believes new technologies such as neuromorphic computing, memristors, deep learning, machine learning, artificial intelligence, mixed signal and others will be future of computing. 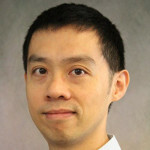 He also talked about the specific type of computing he believes will drive the industry forward over the coming years. The next fifteen years in the electronic and computer industries promise to bring with them many challenges and excitements. Addressing these challenges and excitements is the International Roadmap for Devices and Systems. In this podcast, we spoke with Linda Wilson, Project Manager for the International Roadmap for Devices and Systems, to get an inside look at the 2017 Edition of the IRDS™ Roadmap, its history, where the Roadmap will go from here, and much more. Linda shares information about the global organizations IEEE is collaborating with on the IRDS™ Roadmap and how the project has turned into a worldwide effort. In addition, Linda discusses practical ways to apply what’s in the IRDS™ Roadmap reports within the electronics industry. 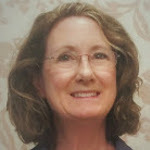 She also shares behind-the-scenes information on future editions of the IRDS™ Roadmap, how the IEEE Standards Association is involved, and how the IRDS™ Roadmap will help to reboot computing. Linda also shares information about an upcoming set of public webinars around the IRDS™ Roadmap with the first webinar happening 28 August 2018 at 8:00 am PT/11:00 am ET. 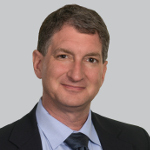 Dan Hutcheson, CEO and Chairman of VLSI Research Inc. 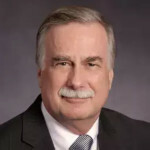 Episode 16: Q&A with Dan Hutcheson, CEO and Chairman of VLSI Research Inc.
“No exponential is forever, but forever can be delayed," said Gordon Moore. In this podcast, Dan Hutcheson, CEO and Chairman of VLSI Research Inc., shares this quote from Gordon Moore and discusses why he doesn't necessarily see Moore's Law ending in the future. He also discusses the technologies he believes are on the horizon including Quantum Computing, Artificial Intelligence, Supercomputing and more. In addition, Dan talks about how the massive amount of data that is being produced is actually moving us away from a computer-centric world and into a data-centric world. We sat down with Mark Papermaster, Chief Technology Officer and Senior Vice President of Technology and Engineering at AMD, at Rebooting Computing Week last year in Washington, D.C. to discuss the future of computing. During our interview, Mark shared what he thinks will come after Moore’s Law, the likelihood of high performance computing undergoing a mass deployment in the next five years, machine learning, and much more. Mark also talks about how we are at an incredible inflection point in the computing industry. What does that inflection point hold? Let’s listen to what Mark has to say. 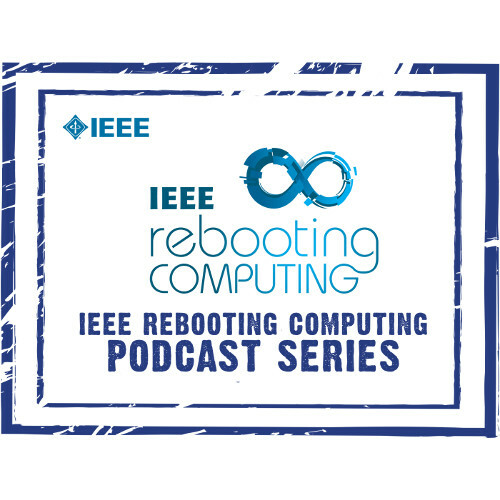 Biological computation, quantum computing, photonics, Moore's Law, and semiconductor technology are just a few of the topics Margaret Martonosi dives into during this IEEE Rebooting Computing podcast. 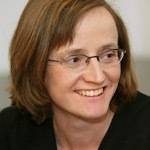 Margaret is the Hugh Trumball Adams Professor of Computer Science at Princeton University and is the Director of the Keller Center for Innovation and Engineering Education. She has also been an IEEE member for 30 years and an IEEE Fellow for 8 years. Margaret shares why approaching the reboot of computing is an exciting time and why she believes 'where there is big change, there's big opportunities to find new ideas and do things differently'. Additionally, Margaret shares her work and research at Princeton University and shares why she’s an IEEE member and why others should join as well. 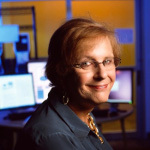 With the recent release of the IEEE 2017 Edition of the International Roadmap for Devices and Systems (IRDS™) helping shape an evolving computational world, this IEEE Rebooting Computing podcast features Marilyn Wolf, Farmer Distinguished Chair of Embedded Computing at Georgia Tech and Eminent Scholar at the Georgia Research Alliance, discussing a broad range of computational needs that will help advance computing beyond Moore’s Law. Applications such as Artificial Intelligence and Augmented Reality, as well as the ever-expanding deployment of sensors tied to the Internet of Things, and cyber-physical systems such as connected vehicles, will bring forth issues related to safety and security that will need to be addressed as humanity strives to harness computational power for the future. As 2017’s Low-Power Image Recognition Challenge (LPIRC) Moderator, Ryan Dailey has unique insights into the ins and outs of this challenge, its long and short-term goals, and how these goals could help to not only improve image recognition on mobile platforms, but also improve technology as a whole. LPIRC, coming up on 18 June 2018 in Salt Lake City, Utah, encourages competitors to use different ways of looking at power consumption in computational devices while using visual recognition to identify as many images as possible. In this podcast, Ryan also discusses his views on the future of computing, what he thinks of artificial intelligence and how he believes computing requires us to think outside of the box. Neuromorphic architecture, quantum computing, specialized processors, adaptive learning and artificial intelligence are just a few of the topics Michael Garner dives into in this Rebooting Computing podcast episode. 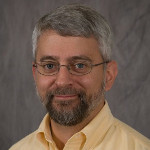 Michael is the President of Nanomaterial Applications, Properties, Processes, and Assessments at Garner Nanotechnology Solutions and is the Chair of the Outside System Connectivity Team of the IEEE International Roadmap for Devices and Systems. Michael shares his thoughts on the future of computing, how adaptive learning will play a key role in the next phase beyond Moore's Law, how important it is to reboot computing, and much more. 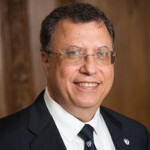 In this IEEE Rebooting Computing podcast, Paolo Gargini, chair of the International Roadmap for Devices and Systems, gives us an inside look at the IRDS™ Roadmap, how it will come into motion in the near future, and the steps the Initiative plans to take to make this an actionable Roadmap. Paolo also dives into the rich history surrounding the IRDS™ Roadmap and where it will go in the years to come. Further, Paolo shares his insights into what the future might hold and the types of computing he believes will usher us into a new era that goes beyond Moore's Law. With uncertainty surrounding the approach of Moore’s Law, members of academia, industry and the government are exploring innovations and collaborating on the development of solutions to advance the computing world towards a new future. 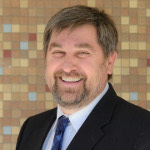 In this podcast, IEEE Rebooting Computing Co-chair, Distinguished Technologist at Hewlett Packard Labs, and IEEE Fellow Dejan Milojicic shares his 360-degree view on Rebooting Computing. While much focus has been on new hardware, Dejan shares his insights on how software also needs to address programmability, as well leverage performance optimization and enable virtualization and security as we move beyond Moore’s Law. Tom Conte, a leading authority on the computing industry, provides a summary of the 2nd Annual Rebooting Computing Week held 6-11 November 2017 in Washington DC. As the IEEE Rebooting Computing co-chair and professor for the Georgia Tech schools of Computer Science and Electrical & Computer Engineering, Tom Conte offers insights on the issues and challenges of moving beyond Moore’s Law, and explains how the IEEE Rebooting Computing Initiative provides a framework for collaboration that will drive advancements and develop solutions that will fundamentally change the computing world of the future. For this special edition of our podcast, we are taking a look at the development work on the International Roadmap for Devices and Systems (IRDS™). IEEE is taking a lead role in building a comprehensive, end-to-end view of the computing ecosystem, including devices, components, systems, architecture, and software. In May 2016, IEEE announced the formation of the IRDS™ under the sponsorship of IEEE Rebooting Computing. And in March 2017, the IRDS™ team published nine foundational white papers that outline the vital and technical components required to create an official roadmap--something we hope to see in late 2017 or early 2018. To help us better understand the IRDS™ program and the roadmap it will soon produce, we interviewed three computing experts: Dr. Erik DeBenedictis and Dr. Matthew Marinella, part of the technical staff at Sandia National Labs and Dr. Geoffrey Burr with IBM. Fresh off their panel at the 2017 IEEE International Reliability Physics Symposium in Monterey, California--part of the "Application Benchmarking, Systems and Architecture, Emerging Research Devices" moderated by IEEE Future Directions Senior Director Bill Tonti--the experts map it out for us in this podcast episode. To accurately predict the future of an industry, it's best to poll the industry's greatest minds to receive helpful explanations of past successes and failures, obstacles to eliminate, and realistic approaches to seemingly impossible innovation. To that end, we interviewed Bill Tonti, Senior Director of IEEE Future Directions. 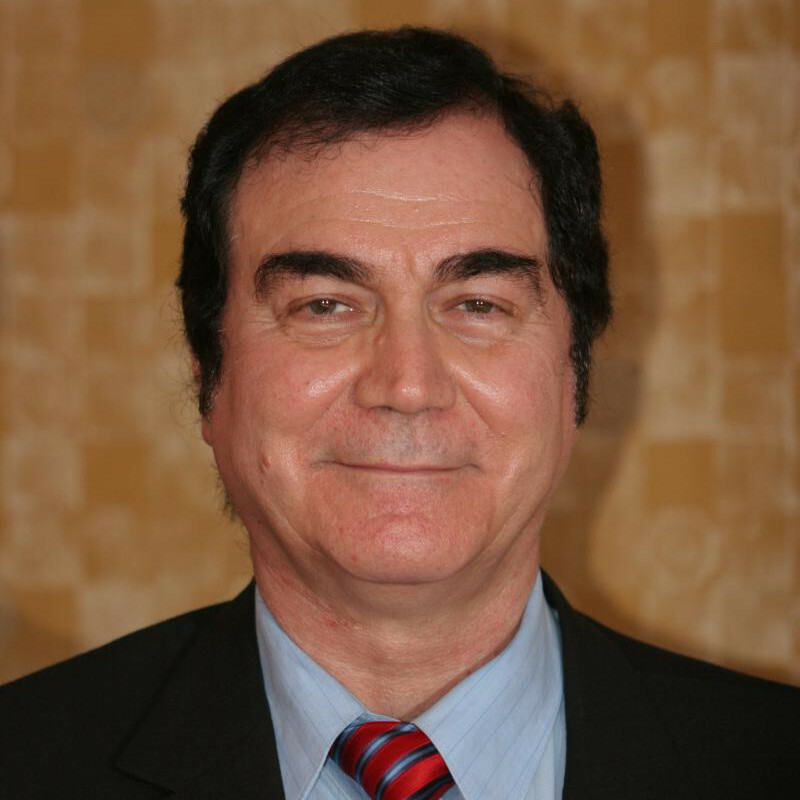 Dr. Tonti focuses his time on bringing new technologies from incubation periods to fully baked IEEE societies that later define how products and services are formed. On Dr. Tonti's ever-growing to-do list, helping IEEE Rebooting Computing reach its goal of creating a new foundation for the computing industry is a top priority. The initiative is pursuing the horizon beyond Moore's Law--allowing the computing industry to continue giving consumers access to devices and services that otherwise wouldn't be mass-market affordable. Our interview with Dr. Tonti reveals some possible solutions to many of the industry's greatest problems. 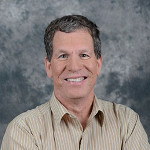 Sharing the IEEE Rebooting Computing chair responsibilities with Tom Conte is Elie Track, CEO of nVizix, computing industry knowledge expert and thought leader. 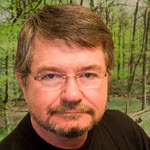 Mr. Track explains the "why" behind the initiative and the reasons behind its existence, which ultimately will help define the answers for tomorrow's computing challenges and limitations. 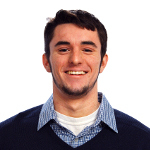 Additionally, Mr. Track offers his view on current computing technologies--particularly using his expertise in the superconducting electronics industry. Neuromorphic computing is one of those new technologies, using the brain as a blueprint to help reach new frontiers in computing performance. 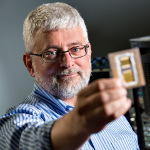 As the IEEE Rebooting Computing co-chair and professor for the Georgia Tech schools of Computer Science and Electrical & Computer Engineering, Tom Conte has his finger on the pulse of the computing industry. In this podcast episode, Mr. Conte provides a brief history of the issues with today's computing performance and tomorrow's solutions--as we see the future expiration of Moore's Law. The mission and vision of the IEEE Rebooting Computing Initiative is to invite industry experts to solve this problem through cooperation and consensus. And with Mr. Conte at the helm, the initiative and its supporters are poised to work together to go beyond Moore's Law and thus fundamentally change the computing industry forever.